On Friday 24th October, the Lilyroo Fund travelled to Adelaide performing a course reconnaissance for the 2015 Lilyroo Ride. The purpose of this trip was to assess all aspects of the Lilyroo Ride course, including safety, traffic conditions, food and rest stops, topography, contingency routes, community engagement opportunities, accommodation options, relevant local organisations, and much more. Michael, Pat and Pete flew early on Friday morning and had really productive meetings with Bicyle SA, Mega Bike, Adelaide City Council and the Women’s and Children’s Hospital Foundation. In the afternoon they explored the Adelaide Hills to find the safest route out of the CBD towards Port Elliot. Mark arrived later that night, and on Saturday morning the team set off to drive the first half of the ride course from Adelaide to Warrnambool. Panorama of the salt lake we will pass on Day 2. Click to see a bigger version. Saturday was a very long but really productive day. Our team met so many fantastic people on their way to Warrnambool. 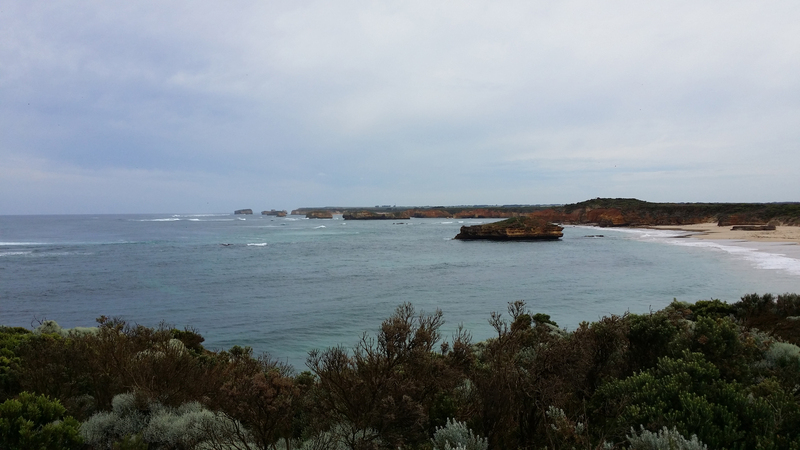 On Sunday, the team then drove the second half of the Lilyroo Ride from Warrnambool to Melbourne which included the full length of the Great Ocean Road. Everyone the team met was incredibly welcoming, generous, proud of their local community and really excited about the Lilyroo Ride. We cannot wait to return in April 2015.